Release Train 11/7/18 | CommentSold Help Center! We've been gearing up for Black Friday and pumping out some awesome live updates based on your feedback this week! On top of all of that you'll notice quite a few bugs that have been fixed as well! The holiday season is basically here and that's a reason to get excited! Let's start with the updates to your live dashboard! Most of the changes will work with both your app and Facebook live sales! Go give them a shot this week! Show if a comment was carted, waitlisted, etc in real-time! Bigger comments and boxes WITH auto-scrolling! Comment back to people from the dashboard! If the item is on sale, use the sale price during the live! Back-end live fixes / optimizations! You can now enable a feature that lets you click "Fulfill All" to fulfill all orders that have been printed. You can enable this in /admin/setup/shipping. Previously live selections started showing an "undefined" product. This has been fixed. When swiping through the photos of a product on your app, customers now see how many photos there are and which photo they are currently on. This will prevent them from trying to swipe to the next photo when there isn't another. When a wholesale customer commented "sold 8" with wholesale enabled it would only cart 1 item when it was supposed to cart 8 items. This has been fixed. When you returned a product in a multi-product order it would not actually subtract from the total order weight and quantity. This means the labels would print incorrectly. This has been fixed. 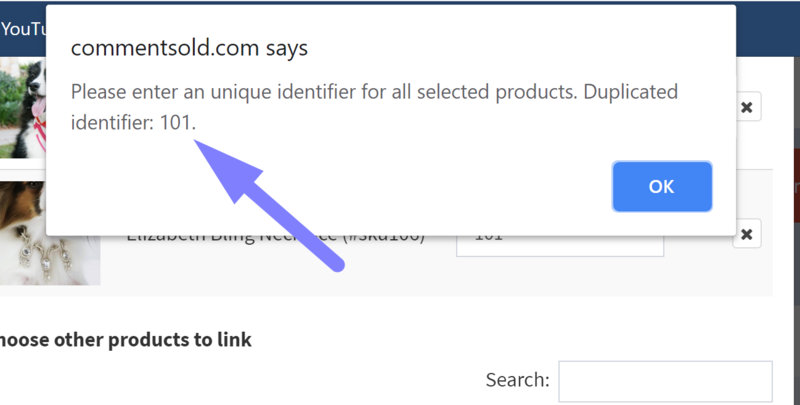 When you add an item with an identifier that already exists to a live selection it will let you know and tell you which identifier is a duplicate. We've been hard at work making sure our servers will scale, optimizing our systems, fixing bugs, and testing to make sure your black Friday experience is super smooth as you would expect.